Choose low fat meat choices that are not full of additives. Hot Dogs are full of all kinds of junk, but there are choices now that are more conducive to health! Costco, Trader Joe’s, and Whole Foods offer many nitrate and chemical free choices. Just be sure and check out the food label and if something sounds chemically, it is! See my Organic Protein page for some ideas! Provide lower calorie choices for desserts! I hate it when I go to a picnic and there is the Costco chocolate cake (you know the giant one) that I know has over 900 calories for a small slice! Your friends will not miss that. Find a great lower calorie fruit filled recipe or maybe a fruity home-made sorbet! See my Sweet Substitutions page for some lower calorie options! 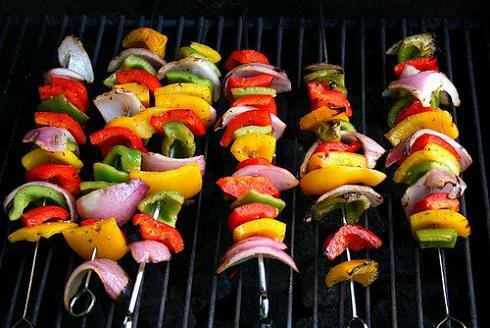 Meat and Veggie Skewers: Add a selection of meats and fresh produce! Encourage your guests to skewer what they love and barbeque away! Get creative! Use chopped meats, shrimp, fresh pineapple, different colored peppers, tomatoes, onions, zucchini, eggplant, different squashes, mushrooms, peaches, Brussels sprouts, asparagus, your choices! Farmer's Market's are still going on at this time of year, so pick up some fresh organic fruits and vegetables for your Labor Day Meal!! This would be a very simple, delicious meal that would not leave people thinking "Oh, I hate going to their house because they are health nuts!" 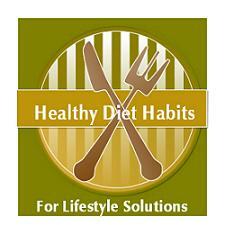 It would be healthy and keep your plate half full of produce, which is a great lifestyle solution for weight control! The Skewers would be fun for everyone, especially kids! That is what Labor Day is all about! Having Fun, before summer ends, school begins, and we happily trudge back to work on Tuesday, after watching our favorite NFL team that is!! !